The specialists choose MOTOREX ORTHO NF-X. 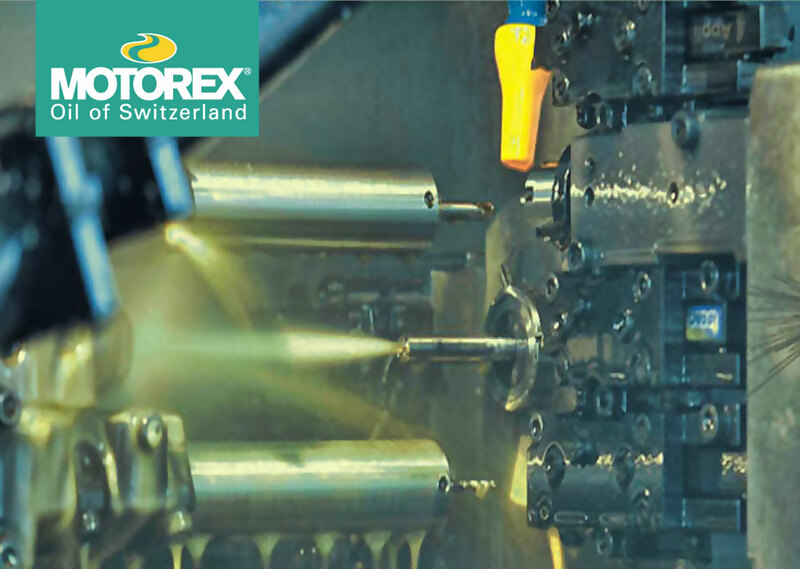 With today’s technology, deep-hold drillings with high depth-to-diameter ratios using single-lip drills can be made to high precision on machining centers, using sophisticated equipment and drills. The drilling fluid applied plays a central role. Deep-hold drilling on a modern machining center requires a deep-hole drill and a powerful high-pressure cooling system. In deep-hold drilling of high alloy stainless steels like those used in medical devices, the drilling fluid continuous flushes chips out of the hole under very high pressure, ensuring process reliability at every stage.